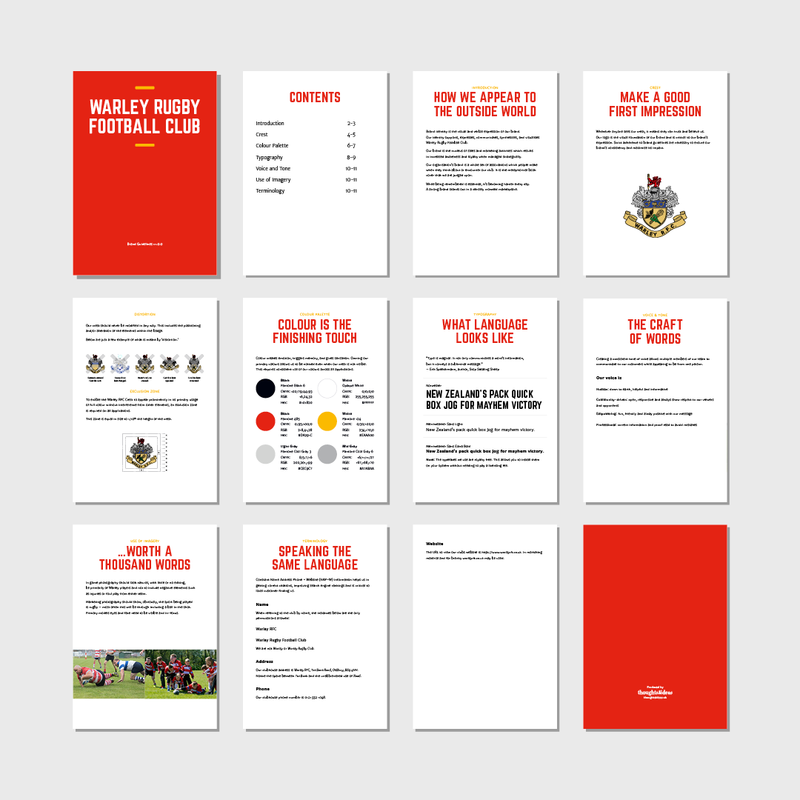 Warley Rugby Football Club is a Community Amateur Sports Club run by a volunteer committee. Their previous branding needed to be updated to create a consistent style of communication that would improve the clubs perception as being professional and inviting to new players. A redraw and recolouring of the main crest made it suitable for use in print and digital communication. To encourage consistent visual appearance across Warley’s marketing material. Brand guidelines were created describing best practices for crest usage, colour values, font families, tone and voice, and image library. Produced on-behalf of Thoughts & ideas.